Durf jij beheersing los te laten bij innovatie? 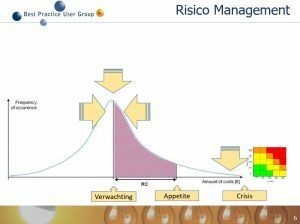 Mooi artikel samen met Naris vormgegeven, als kerndocent voor de training Risk Management & Innovatie. Een bijzondere combinatie, die meer gemeen heeft dan op het eerste oog lijkt, zie Naris risk academy. Waar het op neer komt, is dat elke controller, jurist, auditor etc niet direct moet denken in termen van beheersing en in-control als het gaat om change en innovatie. Deze ‘opportunity risks’, die je bewust opzoekt als bedrijf om tot nieuwe producten, processen of verdienmodellen te komen, hebben ruimte nodig om tot bloei te komen. Denk eerder aan het bieden van de juiste kaders en het benoemen van je risk appetite. Nog beter: denk aan de waarde die je kunt toevoegen vanuit je kennis en competenties, om innovatie nog verder te brengen! 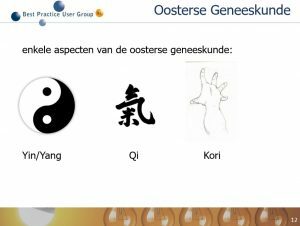 Author RolandPosted on 20 February, 2017 20 February, 2017 Categories innovatie, Risk Management, UncategorizedLeave a comment on Durf jij beheersing los te laten bij innovatie? 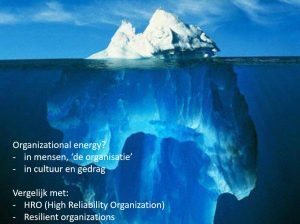 Afgelopen dinsdag 24 januari 2016 heb ik, vanuit NKL, samen met Dutch Incert een geweldig congres kunnen organiseren over Applied Research on Charging Infrastructure, ofwel ARCHI. Met meer dan 100 inschrijvingen was dit eerste congres dat exclusief over laadinfrastructuur gaat, een inspirerende bijeenkomst met een mooi palet aan deelnemers en onderwerpen. zie Dutch Incert en zie NKL voor de verschillende presentaties en interviews met sprekers. Registration ARCHI symposium is now open! NKL and Dutch INCERT invite researchers, academics, applied researchers and practitioners to a symposium about Applied Research on Charging Infrastructure – ARCHI. This symposium will bring together key researchers and practitioners active in the field of charging infrastructure, and will contribute to the knowledge development and implementation regarding the optimization of charging infrastructure development and utilization. To provide an overview of established knowledge and identify knowledge gaps. To bring together leading researchers and practitioners from the industry. To collect elements for a future research agenda on charging infrastructure. To present key research findings of different research institutes of charging infrastructure. Chair: Maarten Steinbuch is professor in Systems- and Control at Eindhoven University of Technology (TU/e). 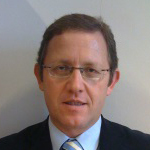 His research interests are design and control of motion systems, robotics, automotive powertrains and of fusion plasmas. As professor in Energy Systems Analysis, Kornelis Blok holds a broader scope on energy transition. Blok’s drive is to search for new solutions to societal problems, particularly when they involve the energy supply and the climate. Robert van den Hoed is Lector Energy and Innovation at the Urban Technology research program of the University of Applied Sciences Amsterdam. His research team focuses on optimizing rollout and utilization of charging infrastructure for electric vehicles. Research involves energy modelling, simulation and forecasting, policy analysis and consumer research; in close cooperation with municipalities and infra-related companies. Auke Hoekstra only has one goal, namely speeding up the transition to electric mobility and sustainable energy. In his research he underpins how the electric car and sustainable energy support each other and how the energy transition can be done. Bart Vertelman is Program Manager EV at Gemeente Amsterdam. Pavol Bauer is currently a full Professor with the Department of Electrical Sustainable Energy of Delft University of Technology and head of DC Systems, Energy Conversion and Storage group. His research team focuses also on projects for smart cities such as PV charging of electric vehicles, PV and storage integration and contactless charging of electric vehicles. He holds 3 international patents related to e mobility and is one of the organizers of ProfEd E-mobillity. Frank Rieck is a lector Future Mobility on the Rotterdam University of Applied Sciences and president at Dutch-INCERT. His background lies in industrial design of automobiles, the development of light materials and various senior management functions. Roland Ferwerda is Program Manager at NKL, the Dutch platform where government, knowledge institutions and companies come together to achieve affordable public charging. Roland realizes innovative projects with positive impact on the business case in collaboration with all stakeholders in the EV market. In order to participate we look forward to receive abstracts on charging infrastructure related research. Abstracts of charging infrastructure related research (including consumer research, empirical studies, data analyses, technical studies, grid network studies) can be submitted to be presented at the symposium. The abstracts will be evaluated by the expert team of the NKL to be made eligible for an oral presentation or a poster presentation. Deadline Call for Abstracts: January 5th 2017. Abstracts can be submitted online via the registrationlink. All decisions will be communicated to the authors on the 21st of December.To be eligible, the abstract should fulfil the following criteria: it reports on actual or future public or private charging infrastructure, it contains new insights, it has not been published before… more details by registration. All abstracts will be reviewed by a member of the Expert Team of NKL (Maarten Steinbuch, Kornelis Blok, Robert van den Hoed and Auke Hoekstra). Abstracts are being reviewed on clarity, appropriateness of scientific method, interpretation of results and conclusions. Ik organiseer een congres voor het Nationaal Netwerk Risicomanagement op 19 januari 2017. Druk met organiseren en werven: het belooft een bijzondere dag te worden! Het onderwerp slaat vooral aan op de onvoorspelbaarheid, als het gaat over grip krijgen op een steeds innovatievere, en daarmee onvoorspelbare wereld. Iedereen ervaart de snelheid van verandering, een andere vorm van regie en beheersing is daarom nodig: welk gedrag, welke processen, methodieken helpen bij het beste antwoord hierop? Met onder andere als sprekers: Aimé Heene, Tom Touber, Brenno de Winter, Ed Vosselman, Sandra Lutchman, en Aukje Hassoldt.